Every year, I research the best upcoming digital marketing conferences, where they’ll be, and what they’ll cover. Without fail, the Internet Summit in Raleigh, NC always peaks my interest. Proximity to CGR’s home base in Charlotte normally makes my attendance an easy call, but this year a scheduling conflict made it impossible to be there. 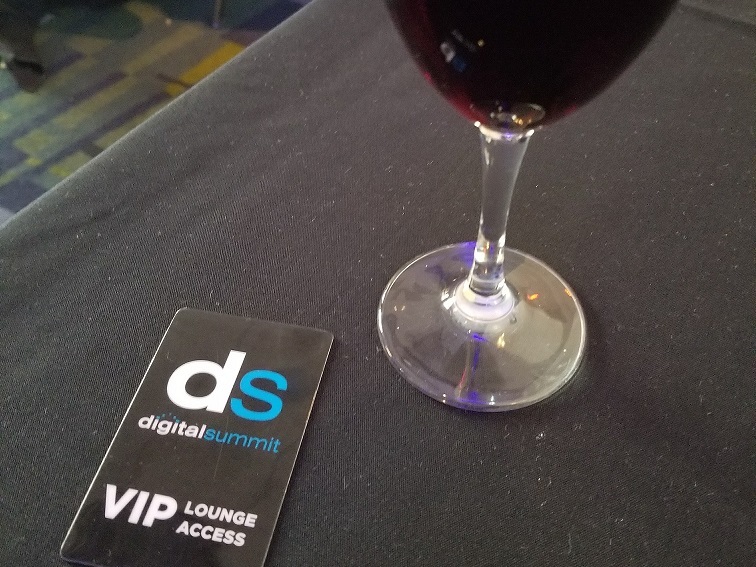 So, I ended up having to “settle” for the Digital Summit here in CLT last month. Digital Summit certainly lives up to its billing as “The Definitive Digital Marketing Gathering.” The passion and expertise on display throughout the event had the desired effect of filling my little brain with ideas, and re-energize me in a way that I could come back to CGR and implement them. While I don’t have time to share everything I learned, I would like to highlight my top five insights, and how I think they will impact my worlds of search marketing and data science. AI and machine learning was everywhere. 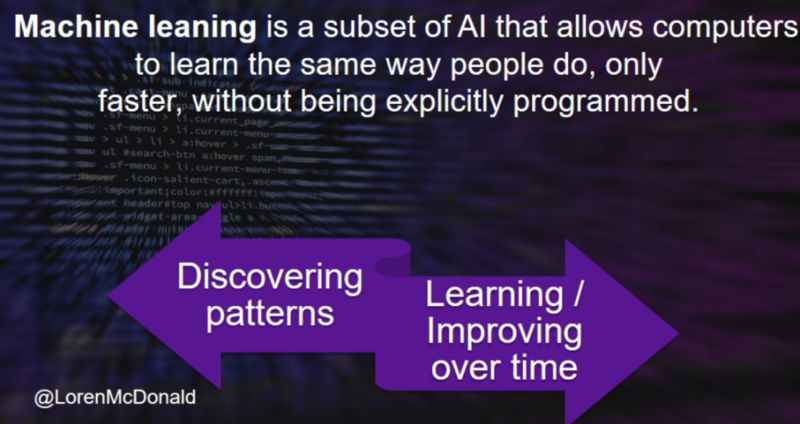 After a quick scan down the agenda to plan which sessions I would attend, it was immediately clear that artificial intelligence and machine learning was not some sort of science fiction-based future of marketing. It’s reality – one we better be prepared to take advantage of. In a span of a few hours, I was told that native applications were dead, but then that we need more app store optimization. I was also informed that I’d be crazy to use display ad banners these days, but then heard about how they were a crucial component of any conversion funnel. To me, it all feels a little too much like hearing about the latest and greatest diet fads. Just as genetics and exercise can affect your best-laid diet plans, there are too many factors that impact advertising to be able to create one-size-fits-all set of rules. We as marketers need to be on the cutting edge, but also benchmark new trends against existing results. For me, if display ads (or any other channel) continue to drive ROI, then I will happily continue using them. My sites STILL aren’t fast enough! Michael King (@iPullRank) reminds me every year that I need to go back and pay attention to the critical rendering path and code order on our clients’ sites. Page loading time is as big a deal as ever; as are Google’s expectations. Image optimization and caching are always on our radar, but we need to ensure that render-blocking scripts are a top priority as well. As sites grow and evolve (read: more functionality and more plugins), they collect more and more scripts. Refactoring this code trims or consolidates redundant scripts to keep this bloat from slowing your site down. I definitely recommend taking a periodic audit of your rendering path to speed up your pages! Get creative with your attribution models. For me, the most interesting moment in the conference came from the fantastic keynote by Thom Gruhler (@thomgruhler), former CMO at Microsoft. One of his premises included the need to justify the product development expenditure on Skype to continue improving the free product. By tracking his user lifecycles, he was able to prove that increasing Skype downloads resulted in a proportional increase in paid Office 365 memberships. CGR is a digital to dollars agency. While we are literally in the business of proving the marketing ROI we provide to our clients, creating a brand new product/marketing channel to drive ROI to a different product is such a unique, novel concept to me. Take any chance you can to drive additional users into your conversion funnels! All in all it was a great experience. The insights noted above sent me home with a lot to think about. I just hope I can finish implementing most of these strategies before next year’s summit rolls around and inspires me with even more ideas.